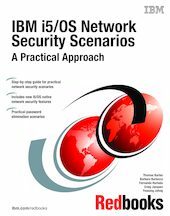 This IBM® Redbooks publication provides specific setup information for various scenarios of Internet security. Assuming readers have knowledge of the theories and conceptual parts of the related topics, this book aims to assist i5/OS network security administrators who need to set up any of the scenarios listed in the Table of Contents. Each scenario is a separate chapter.